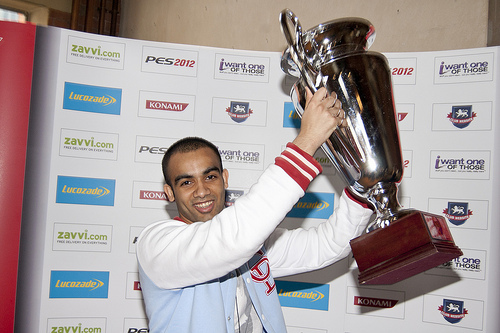 This time next week, Germany will host the biggest PES 2011 event of the year. The PES World Finals for PES 2011, takes place at Gamescom next week, in a tournament that will see over 30 regional champions from 24 countries, competing for the most prestigious PES 2011 title. You will be able to watch a selection of matches, including the final, as they are broadcast live from Cologne on the official Ustream channel. The tournament is scheduled to take place between 10:00 - 18:00 (English time). We'd like to wish both Bad_boy_g (pictured) and Oz Idris the best of luck.